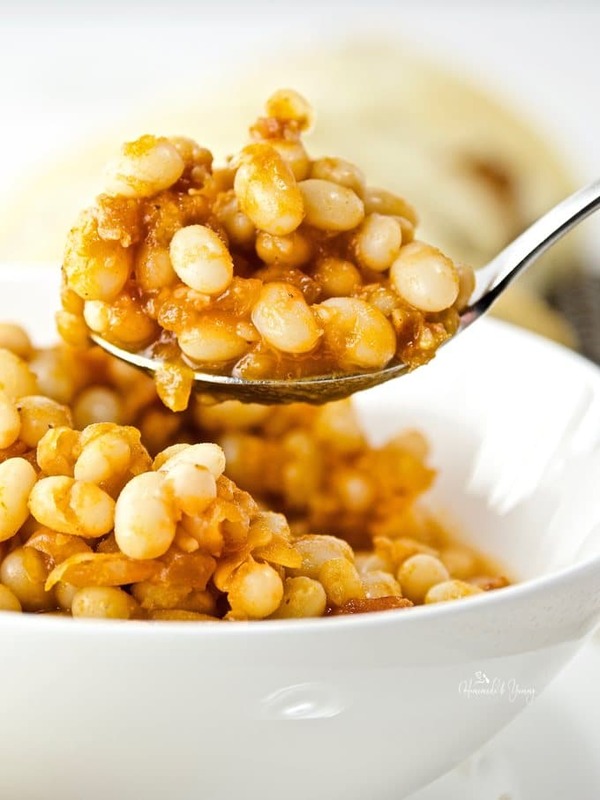 Pressure Cooker Baked Beans | Homemade & Yummy Homemade & Yummy | Fun delicious recipes and more. When you get the craving for baked beans but don’t have hours to spare, Pressure Cooker Baked Beans with Bacon is your answer. Saucy, sweet, smoky, cooked under pressure in less than 30 minutes. Busy lifestyles don’t often have time for cooking. 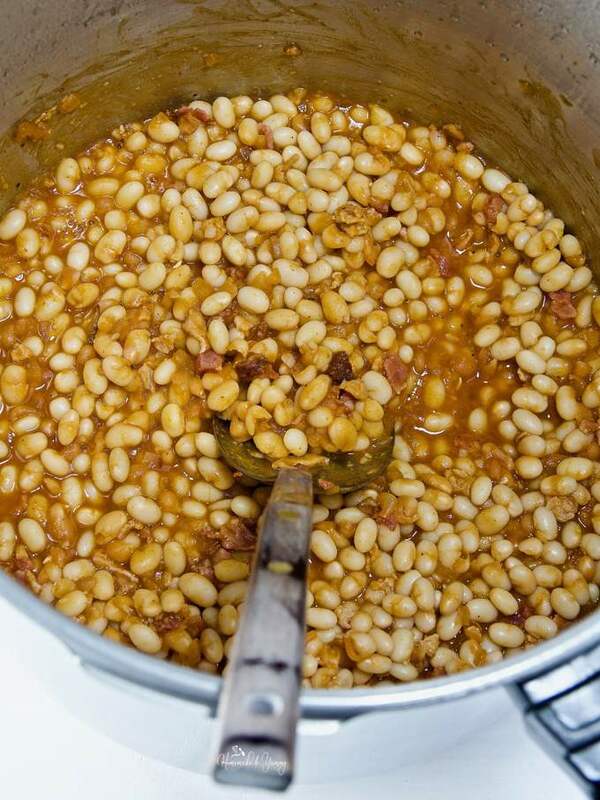 These pressure cooked baked beans are a quick and easy alternative to the traditional method. Do you have a pressure cooker? Which kind, stovetop, electric or the new Instant Pot? Are you one of the people who is scared to try any type of pressure cooker all together? Believe me, I was one of those people. I only started using a pressure cooker in the last year. Hubby insisted I get one. I insisted he stand by my side the first time I used it. Do you know what I made? Sticky Toffee Pudding. This pressure cooker dessert is FANTASTIC!! Pressure cooker baked beans is my third or fourth time using my stovetop pressure cooker. All the recipes I have tried so far have turned out. Woo hoo! If I can do it so can you. Now I can cook (without supervision), and no longer fear disaster. I still remember horror stories of tops blowing off pressure cookers, and the food ending up on the kitchen ceiling. There are various methods of making baked beans. The traditional baked beans method involves soaking the beans overnight, cooking the beans in a pot THEN finally baking the beans in the oven with a delicious sauce. 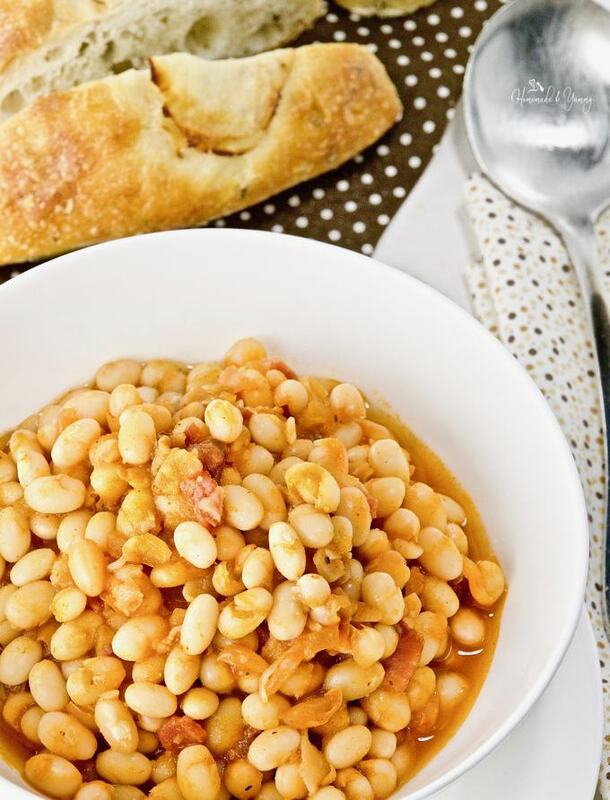 This pressure cooker baked beans recipe sure cuts out a lot of time. You can cook baked beans in the slow cooker too. I found this method great, but I am sort of biased since I LOVE my slow cooker. I still think it is the BEST invention ever! Throw ingredients into the pot, turn it on and go about my day. Brilliant. Here is where the fun starts. So many great variations. From different varieties of beans, to whether you use ketchup, molasses or brown sugar. Baked beans recipes all have subtle differences that produce award winning beans throughout the world. French Canadian baked beans use maple syrup. Bet you didn’t know that EH? When looking at all the different recipes out there, I knew for sure my recipe had to include bacon. EVERYTHING tastes better with bacon. Don’t fret, it really doesn’t require extra work (or mess). Since this was a quick method, I cheated and used store bought bacon bits. We love BBQ season, and love to make our own BBQ sauces. This was another ingredient that was a “must include” in this baked beans recipe. Once you try making pressure cooker baked beans from scratch, heading to the grocery store for store bought beans in a can will be history. What an economical way to feed a family, and YOU get to flavour them just the way YOU like to. In case you have never made beans in the pressure cooker, you might find these few tips helpful. These tips are for a “stove top” pressure cooker. I prefer to soak my beans overnight (with a bit of salt). This makes the beans cook evenly and prevents them from bursting open. If you didn’t plan for this, you can try the quick soak method. Add some oil to the cooking liquid. Use the natural release method to release the pressure. You can cook on high or low (this recipe was cooked on HIGH). If you choose low, please allow extra cooking time. If you have an electric pressure cooker, these tips from TheKitchn may be helpful. 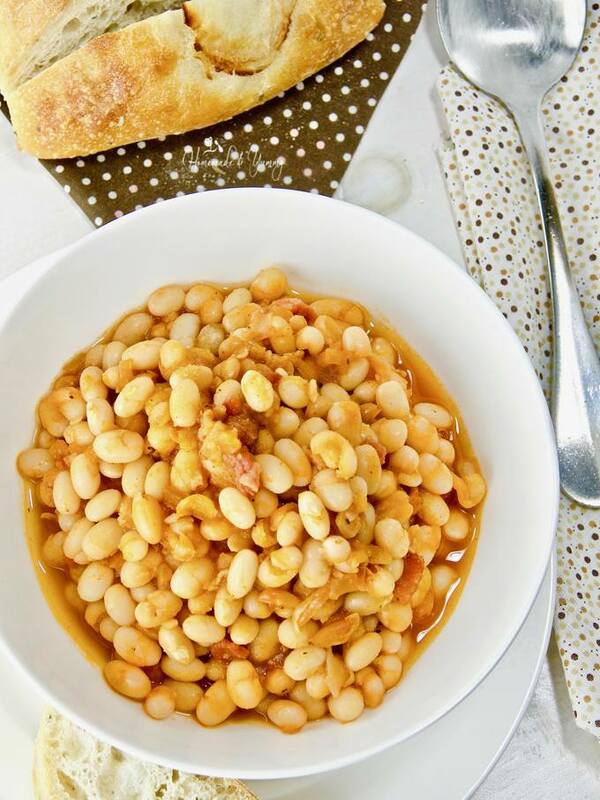 Are you excited to give this quick baked beans recipe a try? In just a few minutes you will have a delicious pot of beans. Be brave, you can do it. 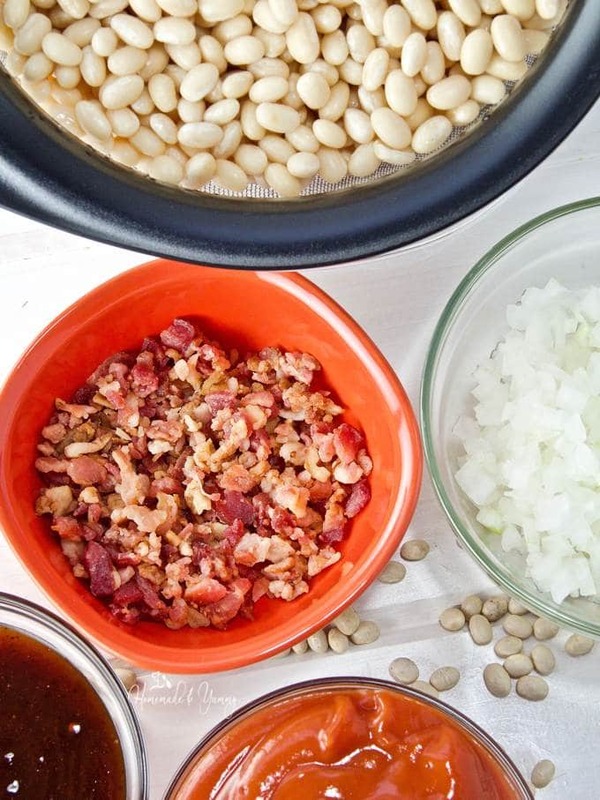 Give this Pressure Cooker Baked Beans with Bacon recipe a try. Your family will think you spent hours in the kitchen. What is your favourite sauce to use in baked beans? Be sure to sign up for my WEEKLY NEWSLETTER, and grab your FREE printable! Pressure Cooker Baked Beans with Bacon are the next best thing to the good old fashioned method. When you have a craving for baked beans, but not hours to cook them, pressure cooking does the trick. ***PRE SOAK** beans overnight. Add 1 tsp. of salt to the water when soaking. Alternatively you can use the quick soak method. See post for link. Remove any floaters from the soaking beans. Drain and place in the pressure cooker. Add the water to the pressure cooker (follow directions for your particular model) along with the additional tbsp. of avocado oil. **NOTE** Hot water will heat up faster. Place lid on pressure cooker and secure. Cook on HIGH. Once pressure level is reached, reduce heat to maintain level, and cook for 12 minutes. Remove from heat and use the NATURAL RELEASE method of pressure release. Once pressure is off, open lid, and drain the beans. Set aside. Place the (now empty) pressure cooker on a med-high heat. Add the additional tbsp. of oil and the diced onion. Season with salt and pepper. Cook until translucent, about 5 minutes. Add water, ketchup and bbq sauce. Mix well. Add cooked beans. Although the BEANS cook in 12 minutes, and then simmer for 15 minutes...NOTE the soaking time and release time are extra. From start of cooking to finish (not including soaking time) you should be able to make this recipe in about 1 hour. If bacon is involved, it has to be good! I love the idea of making beans in a pressure cooker, I’m going to have to give it a try! OMG it works great…and the beans are delicious. I just made beans in my pressure cooker for the first time and I am sold! They were so quick and easy! I’m going to have to try your baked beans for our next BBQ! I know…the pressure cooker does a great job on beans for sure. So much faster. I love beans but the time take to cook them means you really have to plan. I usually soak and do them in the slow cooker, but pressure cooked look great. Time fr a new gadget I think. Yup…soaking is the only part that takes time. Pressure cooking is the quick and easy part. My husband has recently discovered baked beans and he just can’t get enough. Normally I just get the canned kind for him, but now that I know how to make them, I’m definitely going to have to give that a try! Thanks for sharing your wonderful recipe! 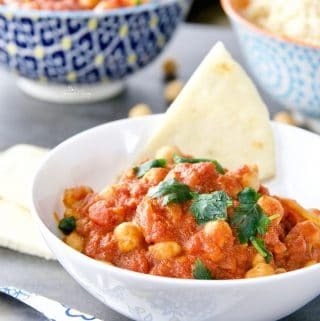 These are so much better than canned beans….hope you give this recipe a try. You will see how easy it really is. 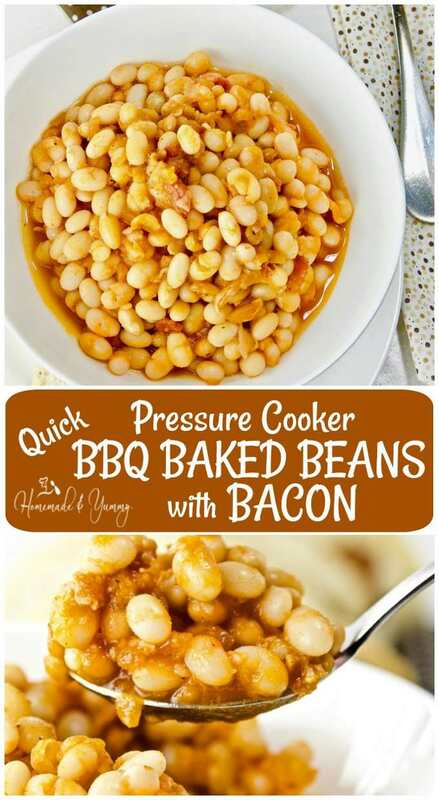 What a great idea to make baked beans in the pressure cooker! A lot of times, when I decide I want them (especially during the summer), I come to the realization with not enough time to make them with a slowly cooked method. I think this is going to be a staple this summer! They really do work well in the pressure cooker. Time saving method for sure….just remember to soak the beans overnight. Gloria these beans are making me crave a summer BBQ right now. It’s been so cold up here in Canada! I love how these beans can be enjoyed just as a healthy entree on their own. Great job! YES us Canadians have had our share of winter this year. These beans work really well in the pressure cooker. Hope you give them a try. How yummy! Such a great side dish, especially with all of the barbecues coming up with the warmer weather. Yes I do think these will be a staple ALL year long. This was the first time I tried it….and it worked GREAT!! Any chance I can make beans I do because they are the best! Something about the process of soaking them the night before and preparing them the next day makes me feel very homestead. 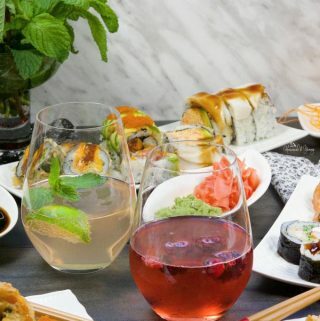 This is a great recipe and I can’t wait to try it out! Hope you like it as much as we do. They really are delicious. These look amazing! I don’t have a pressure cooker yet, but am planning to buy one this summer. 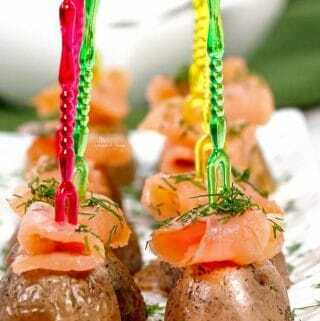 Definitely pinning this as an idea to make then, it will be perfect for summer BBQs! Pressure cookers are quite amazing for sure. Love your take on baked beans! They look amazing. I got an Instant Pot for Christmas and I’ve only used it twice. My mother in law makes baked beans once in awhile but I think she would love to use my Instant Pot to speed up the process. Yes give it a try…I think you will be pleased with the results. This reminds me so much of the baked beans that my grandma used to make. I loved them! These sound so delicious! Well I hop you give this recipe a try soon. Thanks for stopping by. Everything tastes better with bacon!! Like you I’m a bit partial to my slow cooker and usually make my BBQ Beans in a slow cooker as well. I received an Instant Pot for Christmas a couple of years ago but haven’t branched out much besides a couple of roast recipes and steamed eggs. Guess it’s time to step up my pressure cooker game as these look amazing and would be a hit at our next party with such little prep. For some reason this method of cooking is intimidating. I know it was scared to death to use a pressure cooker. Now it is much less stress…and the results are amazing. I just got an instant pot and am experimenting right now (like a beginner cook lol) I’ll keep on experimenting by making your recipe, we all love baked beans in my family, it will be a treat! HAHAH…I understand the experimenting part. I was worried my food was going to end up on the ceiling the first few times I used it. I am so excited to try this recipe! The only way I cook beans is in my Instant Pot and they always come out perfect. These baked beans are happening soon! Oh I am so happy to hear you like your pressure cooker. Hope you like this recipe. I love love love baked beans! They’re so sweet and savory and nom-worthy. I just recently bought an Instant Pot, so I’ll have to give this a whirl in there. My husband doesn’t dig beans very much, but I’ll eat’em all. Bad news for him, lol. HAHHA….well I am lucky. Hubby loves beans…and so do the grandkids. Ohhhhh I HAVE to do this. I’ve been doing more and more beans in the Instant Pot, but mostly pinto and black beans in a Mexican/Central America style. I LOVE baked beans though, so I absolutely have to try this. Thanks for the wonderful and detailed post! You are welcome. Hope ou give them a try soon. 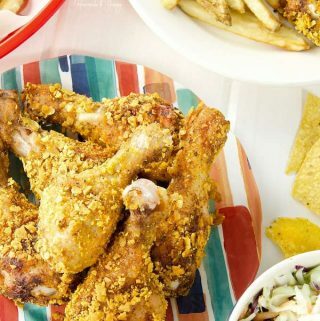 Oh, this recipe is totally going to come in handy this spring and summer with all the BBQ’s and parties we go to! Who doesn’t love baked beans?! And don’t forget the bacon! I also love that they’re made in the pressure cooker, freeing me up from having to babysit them on the stove! Yes this is a win all around. Hope you give this a try soon. 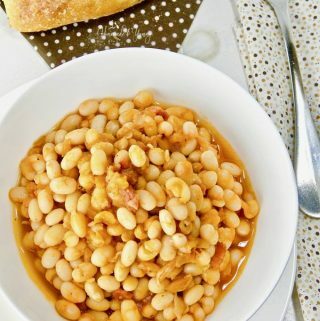 I love baked beans and the pressure cooker definitely makes it easier. 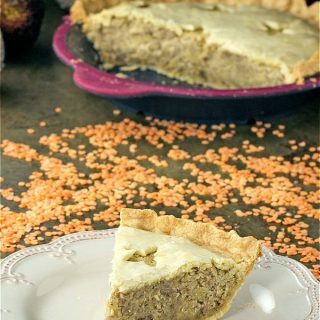 My sister also uses the quick soak method with some salt – I never knew it until a few years ago..Love the flavors you have in this recipe. can’t wait to try. I am totally impressed on what the pressure cooker actually can do. The results are so good. Well, let me just say I had two pressure cookers — stove type and I used to can with them all the time. Those were the days when I would can dozens and dozens of jars — a variety of things. Well, when we down-sized I gave them up. I could kick myself from here to California and back. I wish I had them now. Your bean recipe sound delicious. I’d love to have a way to make them in a pressure cooker. We have a slow-cooker but we only use it for certain things. I don’t think an Insta-pot is in my future. But who knows?? I was SOOOO hesitant to get a pressure cooker. Hubby insisted I need one. Who am I to give up a new kitchen toy. The first few times I was scared to death my food would end up on the ceiling. HAHAH…everything has turned out great. I am so excited to try this recipe! I have been making pressure cooked beans for years and years, but never baked beans before! The thought never crossed my mind and I am so happy I came across this recipe. We never eat baked beans because I am not a fan of the canned ingredients. My Husband loves them and will be overjoyed when I make this to go with ribs. Thank you! So glad you are excited. 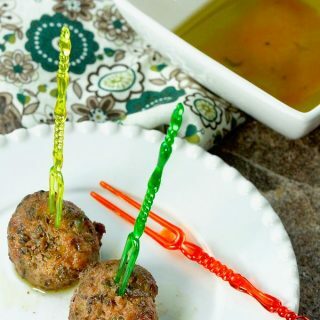 Yes I love that you can control the ingredients…and these taste way better than canned…..hope you give this recipe a try soon. Baked beans are the best! I just want a big bowl of this with some crusty bread. Great photos! I know…funny how we can make a meal on these. I’m not sure if I’ve ever eaten homemade baked beans, and I’ve definitely never used a pressure cooker! One of these days I’m going to try using one though- I’m sure they aren’t as scary as they look! And I had no idea that French Canadian baked beans use maple syrup- but that makes total sense. Yum! YUP…we do love our maple syrup! Pressure cookers are fun. 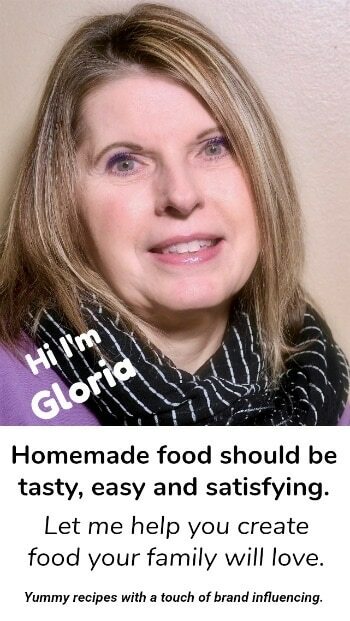 Oh those look fantastic Gloria! I love beans but they don’t always love my stomach. I still eat them every once in a while …. especially in a dish like this! I grew up with a pressure cooker. My mom always used one but only for stews and dishes like that. I can’t believe you made a sticky toffee pudding! YUP…and it turned out FANTASTIC!! I cannot tell you how much I loved baked beans. I love the idea and ease of making them in a pressure cooker. Fantastic! These are so easy to make. My first time trying this method..and I was totally impressed. These sound like the kind of beans my mother used to make when I was a child. I need to get one of those pressure cookers! I will admit it is a pretty neat kitchen tool. I adore baked beans! And I just got my pressure cooker (the instant pot version). But I’ve only been brave enough to try it on one thing so far. These beans are moving to the top of my list! Isn’t if funny how are are so intimated my pressure cookers….be brave…and have fun. We got an instant pot, but I’ve hardly used it yet! I’m itching to get going with it and baked beans might be the perfect start. Thanks for the inspo. Well have fun experimenting. Pressure cookers really are fun to use. 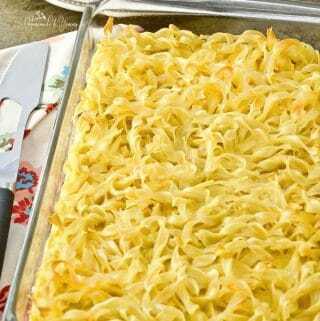 What a fantastic side dish! They would be perfect with a burger! Well I hope you give them a try soon. Perfect for cool summer cooking. This looks so warm and comforting! I love that it can be made in the Instant Pot – it makes it so much easier. Yes it will work in the Instant Pot too. Hope you give it a try. I don’t use my pressure cooker enough. It still kind of intimidates me! These beans look delicious though so I’ll need to try them. I know how you feel. The first few times I was scared to death….thought for sure it was going to explode. Now I am much calmer using it. 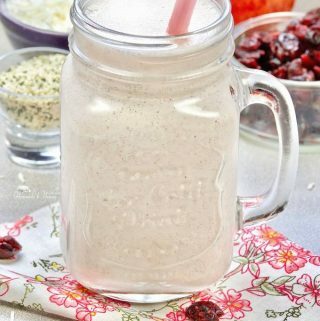 Hope you get your nerve up and give this recipe a try. I have a regular pressure cooker and it’s a gem! Pot roast in 20 minutes. 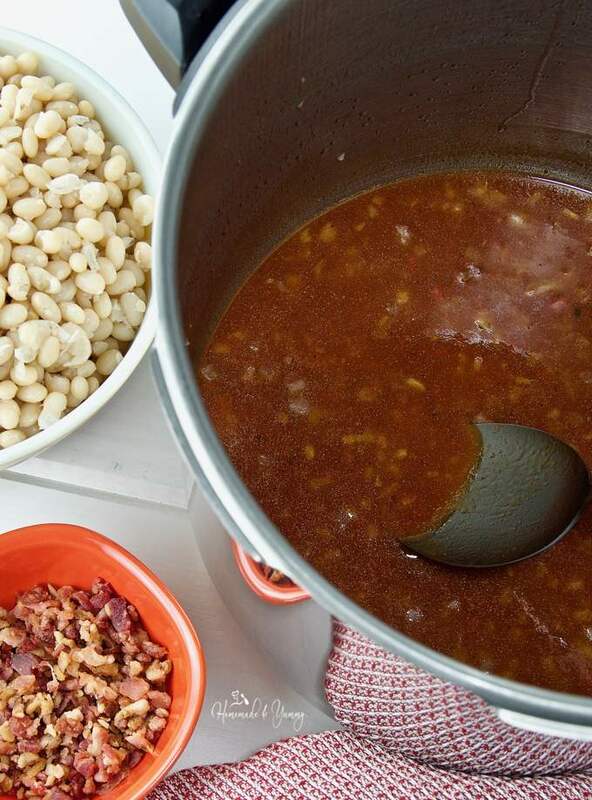 I know you can make beans in the pressure cooker, but I never have — I always go to my dutch oven… I’ll have to give this a try — especially since summer cookouts are coming up and baked beans are a must have side. Yup it does work like a charm. Hence I do not have the need to get an Instant Pot. 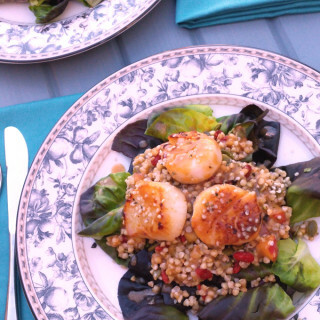 Hope you give this recipe a try…and as for summer cooking….it will be great. You can’t beat homemade baked beans, especially on buttered bread! I’ve never tried them in the pressure cooker though, great idea! Well I hope you give them a try. They turned out great!! Can’t wait to serve this up to them! I’m sure they will turn out great too. Enjoy!! I’m finally the proud owner of an Instant Pot and I can’t wait to try these, they look so might lighter and more tempting than traditional dark brown baked beans! These turned out well. They could be lighter due to the fact I used BBQ sauce and no molasses. Pressure cookers ROCK! They’ve come a long way from the one my mom had when I was growing up! Hubby loves baked beans and although I do not, I make them periodically for him. 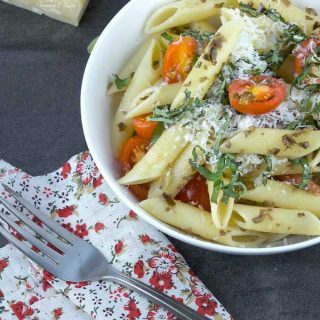 This recipe looks awesome and I can’t wait for him to try it! Yes, pressure cookers have come a long way. Thank goodness…or I still would not have one. the only way I make beans is in my slow cooker over night. I never tried something like this cant wait to try. Plus I stumbled you from Share this and it was the first one to get you going WOO HOO! thanks for this recipe idea! HAHAH…thanks so much. I LOVE my slow cooker….but when hubby buys me new kitchen toys….I have to play with them.